Cameco Breaks Out as Uranium Dips Below $30 | Energy and Gold Ltd. 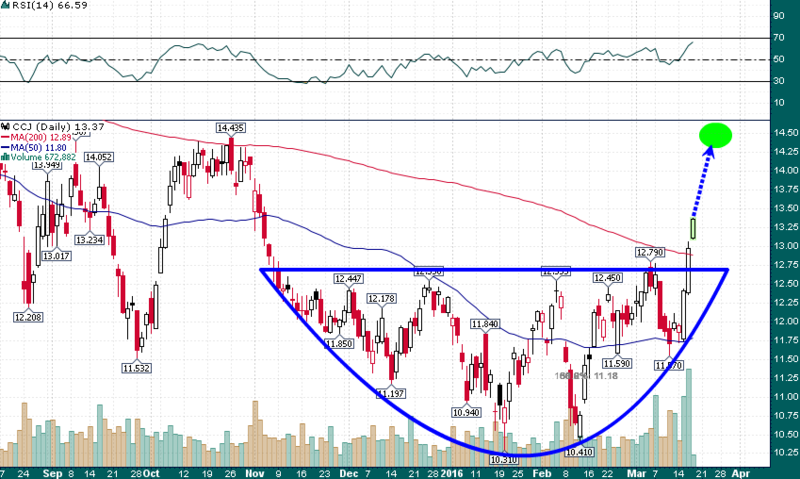 This pattern has morphed over the last few weeks, however, the simplest interpretation is that CCJ has formed a powerful rounding bottom pattern over the last 5 months and the breakout during the last couple of days has occurred with enormous force (volume, time, price). A retest of the October highs is a minimum short term target (~$14.50) with an eventual move back up to long term support/resistance in the $17 area.